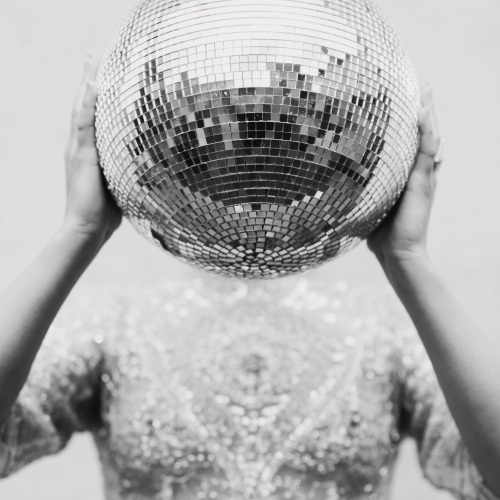 If you’re looking for escapism and something a different little from the Town Hall norm, get ready for some incredible wedding destinations. Ashamedly I have to admit to never thinking of using Airbnb for venue searches but it’s full of exciting alternative wedding ideas. 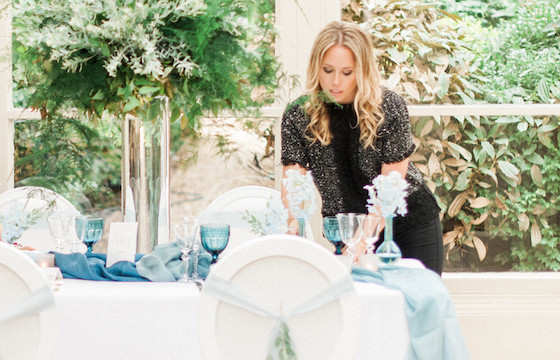 Holly Clarke, acting country manager for Airbnb UK tells me their “stunning properties give future brides the chance to live out their fairytale weddings and discover unforgettably unique, spectacular destinations for weddings.” Whether your dream is a cosy winter wedding at one of Britain’s finest country homes, or an elopement to faraway shores, this Airbnb Top 10 has it all. Private islands to castles, it’s making me want to book a holiday! A truly unique island paradise to celebrate your nuptials. 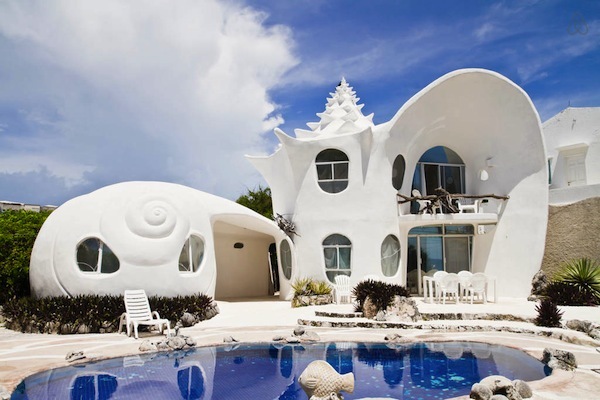 If crowded pools and the “tourist bubble” are your worst nightmare then the Seashell House may be the perfect escape. 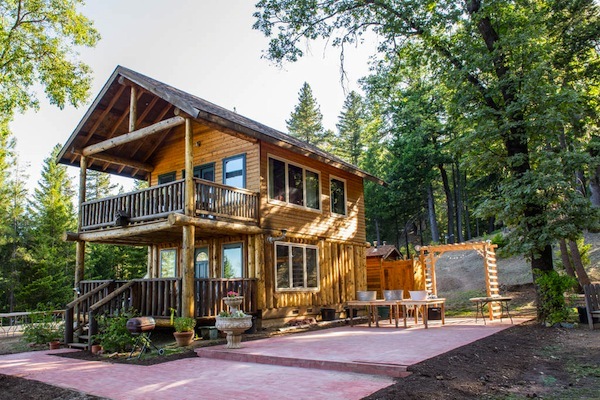 This is a house that’s playful and would suit a couple looking to have a laid-back but extremely fun wedding. 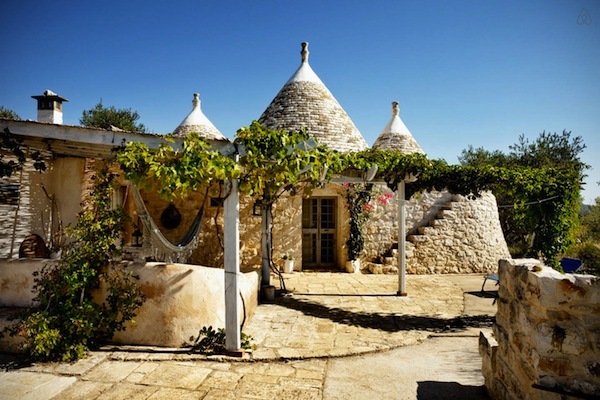 Trullo Aromatic Green is a 300 year old building, with the traditional “trullo” cones of this region of Puglia. Set in a valley with views across the surrounding countryside, this incredible wedding destination is sure to blow people away with its idyllic rustic nature. For your wedding breakfast you can even feast on Olive Oil, Almonds, Figs, Pears and more grown within the grounds of the Green. 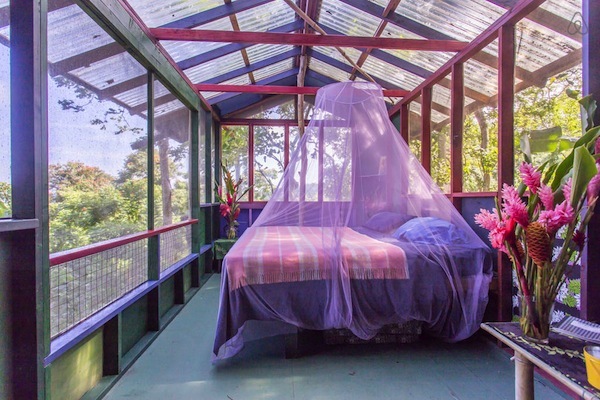 For the adventurous types what better than a treehouse wedding! Secluded, minimalist and private this is ideal for those that want a wireless wedding. There’s no electricity or mobile network coverage so all your guests will be forced to live the moment in person rather than through their iPad screen! 4. Mountain Chalet, Lucerne, U.S.A.
On the hunt for a romantic cabin in the Woods, this Mountain Chalet in California is just magical. Remote and romantic your guests can stay in the main house or be at one with nature by glamping in the grounds. 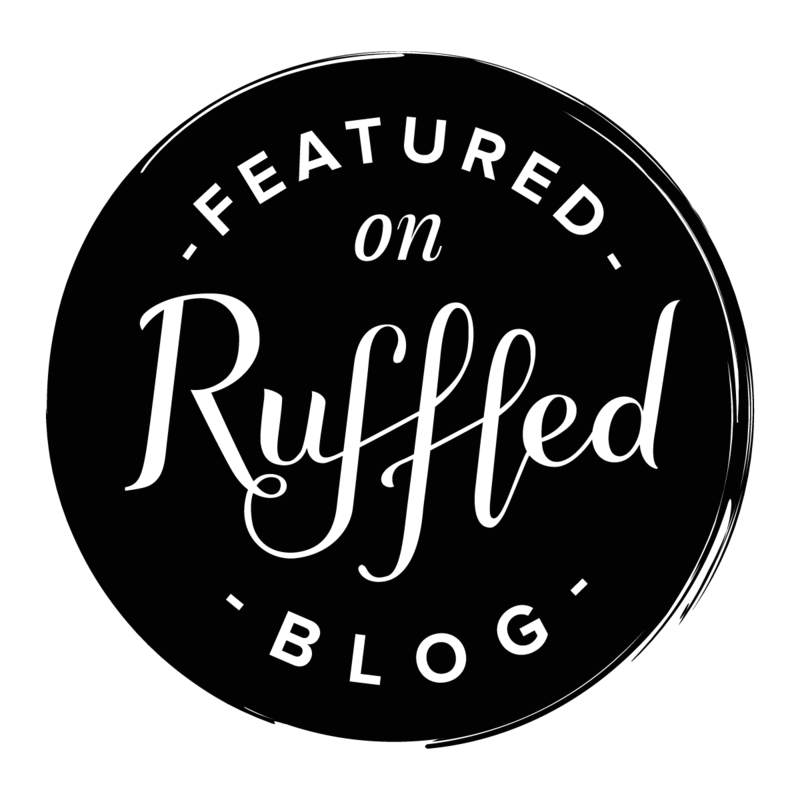 You’ll find lots of real life weddings at the Chalet on the Airbnb profile page too. 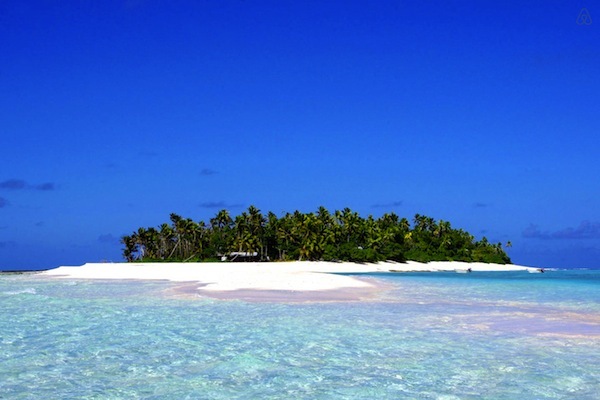 This is the once in a lifetime ‘book your own private island.’ This really is to-die-for, imagine having your own tiny 10-acre paradise where time stands still. Say ‘I Do’ surrounded by hundred year-old coconut trees, rare marine life and sapphire seas – your closest neighbour is over fifteen miles away! If a French Chateau is more you then the welcoming walls of Manoir Equivocal Le “Petit Moux’ are ready and waiting. Sip signature Burgandy with your guests in the 15th Century heritage courtyard whilst not skipping any of the modern comforts. This is breath-takingly picturesque with its colourful meadows and manicured lawns. 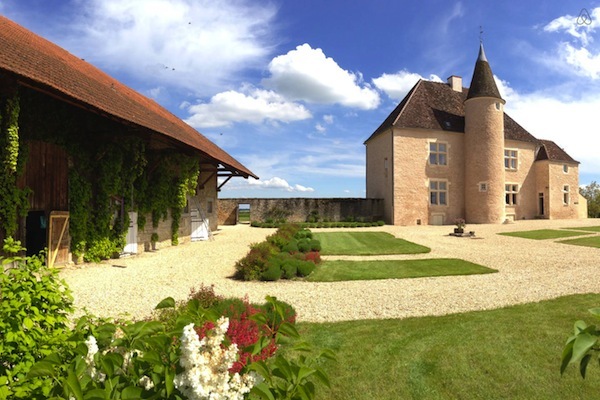 Live out those Princess fantasies by getting married in a Castle. 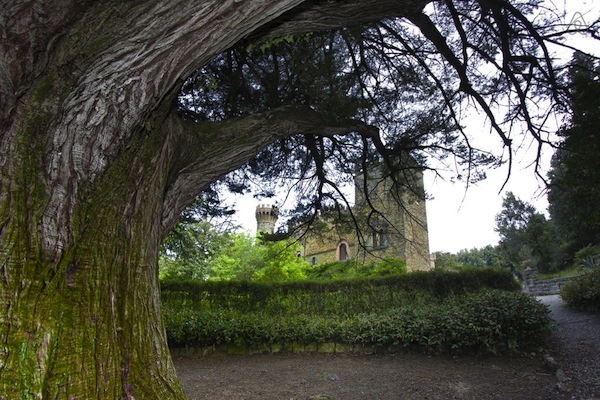 And not just any castle, one famously owned by the Borgia family with 9 hectars of parkland on the Trasimeno lake in Tuscany. This is the stuff of fairytales. But why go abroad when you could be here in good old England? 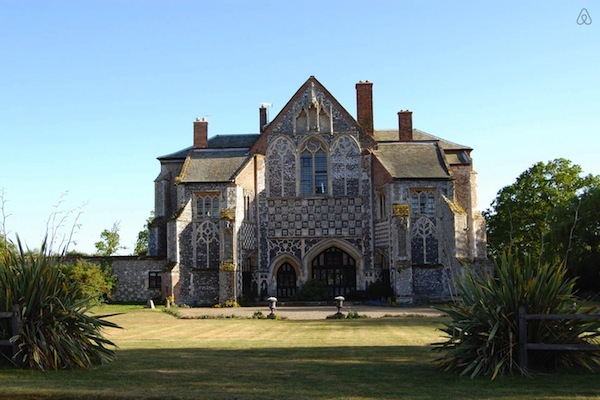 This extraordinarily beautiful and unique country house was once part of a 12C Augustian Priory set in 8 acres of private parkland in Suffolk. You’ll be surrounded by forest walks and marshlands yet only a few miles to the nearest beach. The house has been beautifully renovated and the windows are a wonderful wedding photo backdrop. 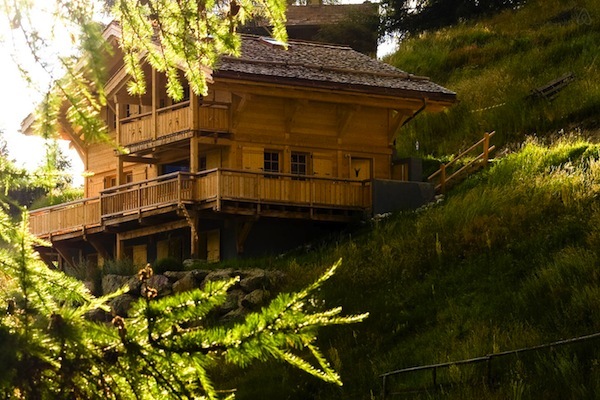 Snow bunnies will love this magnificent and luxurious chalet in the heart of the Swiss Alps. Just 3 minutes away from the main lift at St. Luc you could even squeeze in some ski time the morning of the wedding. The place to be for those that enjoy a combination of tropical beaches, the best culinary experiences and exciting nightlife. 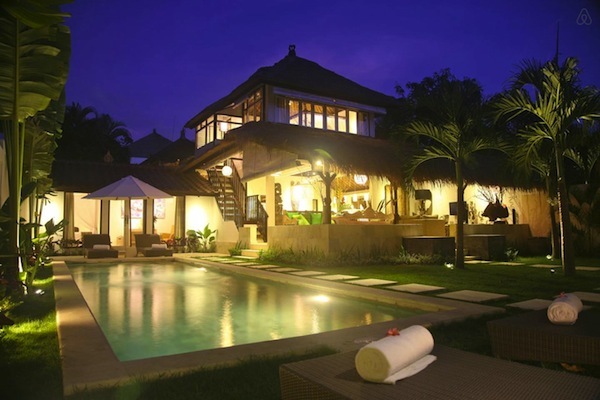 Trendy Seminyak is a buzzy town packed with boutiques, bars and restaurants and this private villa is a stones throw away. If you want luxury, you’ll find it here with marble floors, outdoor showers, landscaped gardens and jacuzzis. So where would you choose? They are all amazing but right now I could really do with that private island.